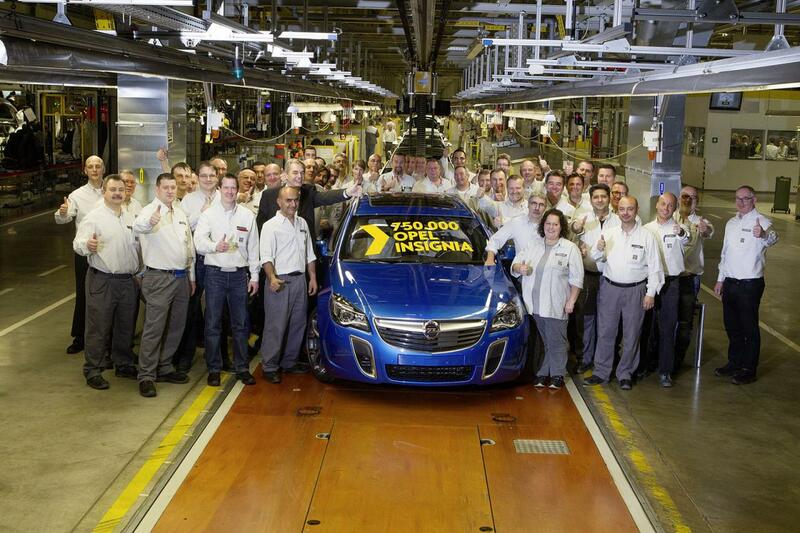 The Germans are Opel are happy these days as the 750,000th Insignia just rolled off the assembly line. To be more specific, we talk about their Rüsselsheim plant, in Germany. They company also confirmed that a new version of the model will be built this year. Until that happens, let’s talk a bit about the Opel Insignia number 750,000. It is the OPC Sports Tourer version and packs a 2.8-liter V6 producing 325 horses and 435 Nm of torque. The 0-100 km/h sprint takes only 6,3 seconds with a top speed limited at 250 km/h. The exterior paint is called Arden Blue and helps the German car stand out. “The Insignia is our flagship and thereby our brand’s figurehead. With this car, we show what we are capable of in terms of design, technology and quality,” said Opel. We are happy about Opel’s achievement but we are also looking forward to find more about the mysterious new model that will join the assembly line this year.